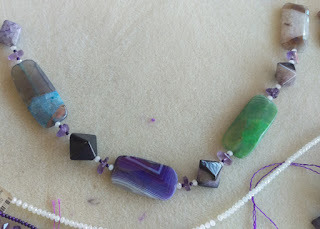 Bead Them Up - Be Creative - Get Beading: Designing, the trials and tribulations. Designing, the trials and tribulations. 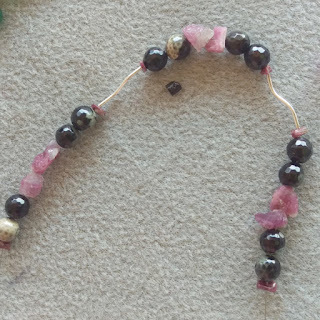 Designing beaded jewellery is fun and easy. 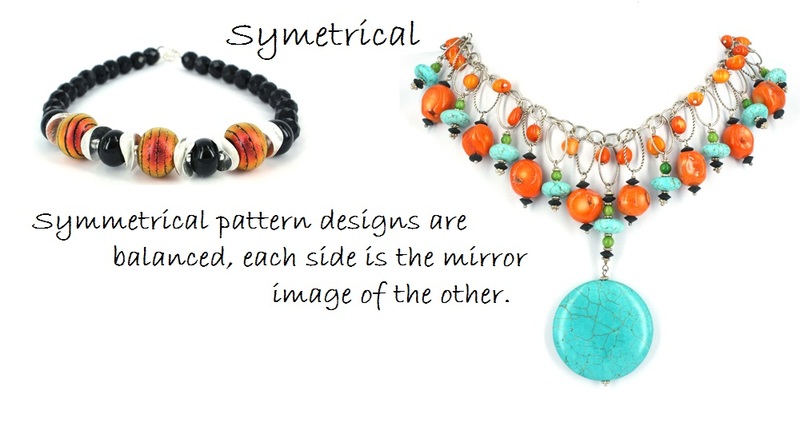 It allows your own personal style to emerge, or adds an individual touch to designs that have been inspired or copied. 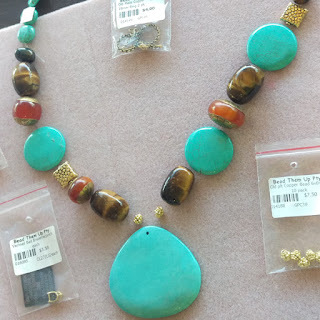 When making jewellery designs for other people, always try to include their own personal style and length preference. Always be open to inspiration from shapes and patterns, either ancient or modern. 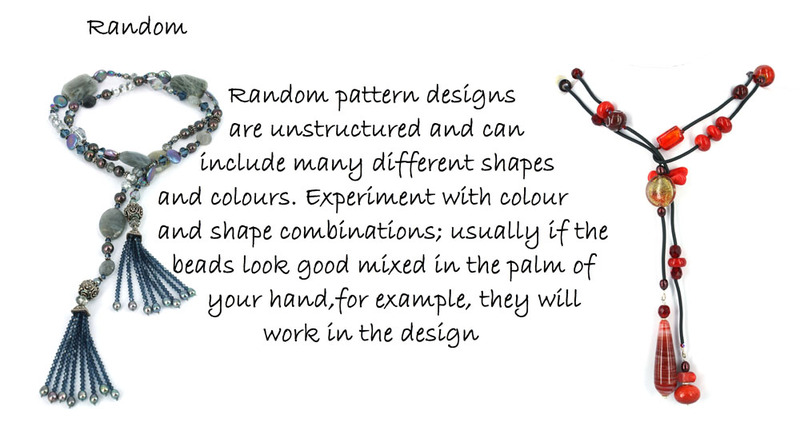 Colour combinations can be inspired by nature; look at the colours found together in trees, bark, fish, and animals. No rules apply. Your beading palette can range from tonal to rainbow creating exceptional beaded jewellery. Don’t forget if you are going to wear it, only you need to love it! 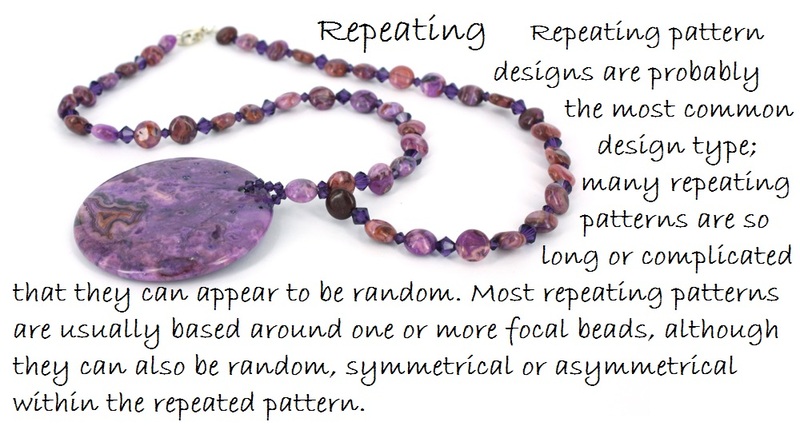 All of the above pattern types can incorporate a pendant or drop/s if required. 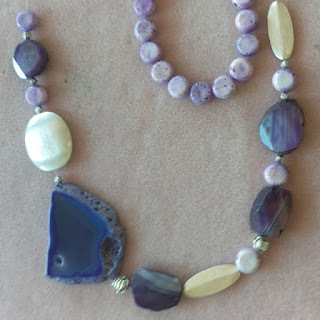 The length of a jewellery design is usually influenced by current fashion trends, personal taste or specific design requirements; be aware that long necklaces can more easily get caught and broken. 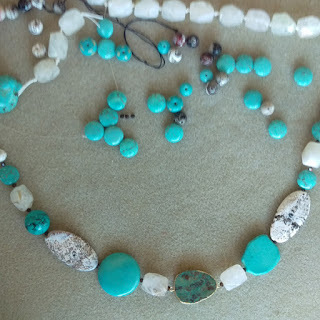 The weight of a jewellery design is the preference of the individual wearer; be aware if you wish to wear a design continually, a heavy necklace can be tiring.